For over 80 years, NPMA has gathered world-renowned suppliers and distributors to share their products, services and technologies with pest management professionals in a first-class global environment. Come join us at PestWorld 2014, October 21-24 in Orlando, Florida as we look back and move forward with a tremendous appreciation for all the pest management professionals who have traveled this road with us. Click here for more details and registration. Presented by NPMA's Leadership Development Group, the NPMA Gives Award recognizes NPMA member companies that have demonstrated leadership through their dedication and contribution to the good of the community. As part of its mission, the Leadership Development Group is committed to honoring those companies that have made a real contribution to their community. Such contributions are demonstrated through carrying out and/or participating in community service projects. These projects may be industry related or non-industry related. Each of our winning companies will be featured in the September/October issue of PestWorld magazine and recognized at NPMA's Academy in Tucson, Arizona. 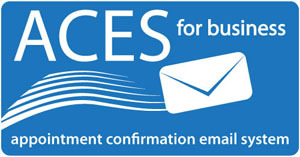 In addition, NPMA will recognize these winning companies by listing them on www.npmapestworld.org and announcing them through our social media channels. Click here for more details and to submit an entry! Last week NPMA hosted a meeting for the leadership of the various K9 groups and discussed ways in which certification and testing can be streamlined. Although preliminary, we will continue to keep you updated as these efforts progress. Thousands of employees become sick each year and many die from working in the heat. In 2012, there were 31 heat-related worker deaths and 4,120 heat-related worker illnesses. Heat illness initially may manifest as heat rash or heat cramps, but can quickly escalate to heat exhaustion and then heat stroke if simple preventative measures are not followed. Heat illness disproportionately affects those who have not built up a tolerance to heat (acclimatization), and it is especially dangerous for new and temporary workers. If you do not have a training program, OSHA has one available. Click here to access the training program. In addition, OSHA has several resources available at their heat awareness site. Learn more here. You can also download a free application for mobile devices that enables workers and supervisors to monitor the heat index at their work sites. The app displays a risk level for workers based on the heat index, as well as reminders about protective measures that should be taken at that risk level. Available for Android-based platforms and the iPhone, the app can be downloaded in English and Spanish by visiting: http://www.osha.gov/SLTC/heatillness/heat_index/heat_app.html. In a favorable action NPMA strongly supports and has worked for years to achieve, the U.S. Environmental Protection Agency (EPA) announced last week that it has reached agreement with the manufacturer of the popular consumer rodenticide d-Con to cancel 12 mouse and rat poison products that do not currently comply with EPA safety standards. The cancellation of these 12 d-CON products that do not comply with current standards will continue the trend of reduced exposure to children, pets and wildlife. The manufacturer, Reckitt Benckiser, has agreed to stop production by the end of the year and cease distribution to retailers by March 31, 2015. The new standards require consumer mouse and rat poison products to be housed in protective bait stations. Pellets and other bait forms that cannot be secured in bait stations are prohibited. EPA also prohibits the sale of products containing brodifacoum, bromadiolone, difethialone and difenacoum to residential consumers. For more information, visit: http://www2.epa.gov/rodenticides/canceling-some-d-con-mouse-and-rat-control-products. For a complete list of the homeowner use rat and mouse products that meet EPA's safety standards, visit: http://www2.epa.gov/rodenticides/choosing-bait-station-household-use. The House Appropriations Committee last week voted to include two National Pest Management Association spearheaded amendments as part of legislation funding the U.S. Department of Agriculture (USDA) for Fiscal Year 2015 that also cleared the panel. The provisions, which are contained in the non-binding report accompanying the legislation, direct USDA's Animal and Plant Health Inspection Service (APHIS) to more carefully assess a proposed rulemaking establishing a fee impacting fumigators performing import treatments and to help states develop plans to more aggressively fight a newly introduced invasive termite species. The former provision is in response to a late April proposal establishing a $375 fee for APHIS' oversight of pest treatments. Under the rulemaking, fumigators would be mandated to collect the fee from importers and remit the payment to APHIS. The invasive termite species provision builds on a public-private partnership the Florida Department of Agriculture and Consumer Services (FDACS) and Florida Pest Management Association have forged in an effort to more effectively manage the conehead termite. The language lays the groundwork for and bolsters the argument for USDA to provide funding to FDACS to contract with private pest management companies to treat for the termite in lower income areas. Click here to read the provisions. The District of Columbia's Department of the Environment (DDOE) last week proposed the most extensive changes to the District's pesticide operations regulations since they were first issued in 1978. The wide-ranging rulemaking, which will impact every pest management professional doing business in the District, includes provisions related to increased standards for technicians and requirements for annual reporting of pesticide use, notification of pesticide applications, heat treatments and canine detection teams. DDOE is accepting comments on the proposal until June 30. Click here to read the proposal and how to submit comments. Vermont Governor Peter Shumlin last week signed legislation into law requiring the Secretary of Agriculture Food, and Markets to evaluate whether the use or application of the pesticides imidacloprid, clothianiden, thiamethoxam, donotafuran, or any other member of the nitro group of neonicotinoid pesticides is safe and not harmful to human health or the health of bees and other pollinators in the State. The Legislature earlier rejected a bill banning the use of neonicotinoid pesticides. Click here to read House Bill 869. The California Assembly recently approved legislation prohibiting the use of the second generation anti-coagulant rodenticides brodifacoum, bromadiolone, difenacoum and difethialone in wildlife habitat areas. Under Assembly Bill 2657, "wildlife habitat areas" includes any state or national park, state or federal wildlife refuge or state conservancy. Click here to read the measure, which now goes to the Senate for further consideration. Meanwhile, the Senate recently approved a bill requiring the director of the Department of Pesticide Regulation to regulate the use of carbon monoxide pest control devices and to adopt and enforce regulations to provide for the proper, safe, and efficient use of these devices, as specified. Under Senate Bill 1332, the term “carbon monoxide pest control devices” is defined as any method or instrument using carbon monoxide to prevent, eliminate, destroy, or mitigate burrowing rodent pests. Click here to read the bill, which now goes to the Assembly for further consideration. 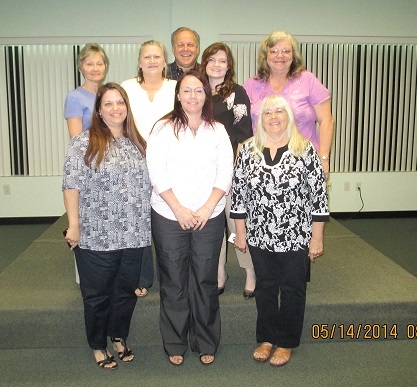 Arrow Exterminators is pleased to announce the inaugural class of Senior Customer Care Professionals. Recognizing the value of these front line employees who work daily with customers is reflective of many of Arrow’s core values. FMC recently appointed Pramod Thota to lead their Professional Solutions Team as Business Director. Pramod previously worked for FMC's Corporate Development and Strategy team, where he spent the last two years focusing on strategy, mergers and acquisitions (M&A) and global business development. 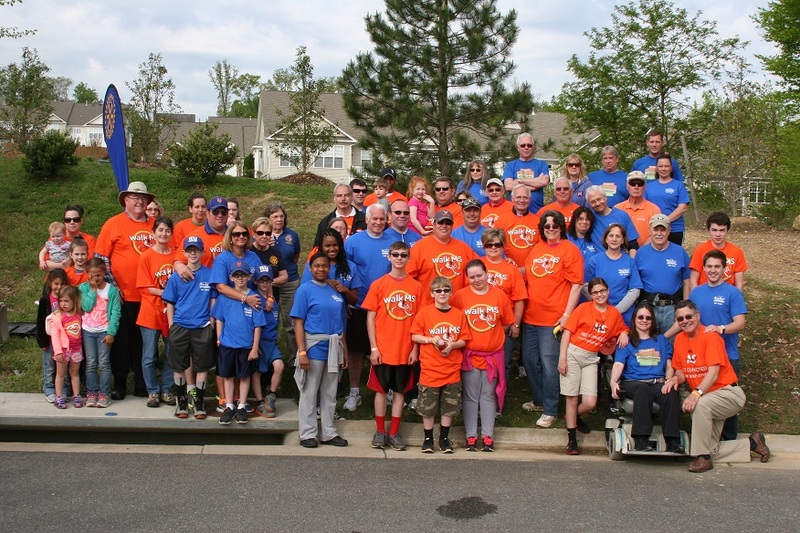 On May 3, PermaTreat Pest Control employees joined forces with Orkin employees from Orkin's Ashland, Virginia office in the annual Fredericksburg WALK MS. Working together the PermaTreat/Orkin team helped raise over $16,700.00 toward helping to find a cure for Multiple Sclerosis. If I Were 22: Why Would We Ever Hire You? Robert E. ("Bob") Couhig died at the age of 97 in his home in Baton Rouge. Couhig at one time served as manager of Orkin Pest Control for Louisiana, Arkansas and east Texas. In 1959 he relocated the primary Orkin office from New Orleans to Baton Rouge. The Couhig family purchased Asphodel Plantation, located near Jackson, for their new home. Couhig left his position with Orkin in 1965, and in 1967 started his own company, Couhig Pestaway, also based in Baton Rouge. He was active in business into his mid-80s. Don Resetar of Antioch, IL passed away Thursday, May 8 at the age of 80. Resetar was president of Pest Control Services and a member of Pi Chi Omega, the Antioch Chamber of Commerce, Northbrook Chamber of Commerce, and the Greater Chicago Pest Management Alliance, NPMA, IPMA, and WPCA. •Black Diamond Termite and Pest Control, Inc.